After the alleged Rio robbery story just didn't add up, the International Olympic Committee (IOC) weighed in. The IOC response to Ryan Lochte's robbery incident makes this whole thing even more silly and confusing. People everywhere have been following the ever-changing story of the alleged Rio robbery of four Olympic swimmers — Lochte, Gunnar Bentz, James Feigen, and Jack Conger. On Aug. 17, the swimmers claimed they were held at gunpoint by men dressed as armed police officers who then stole their wallets. 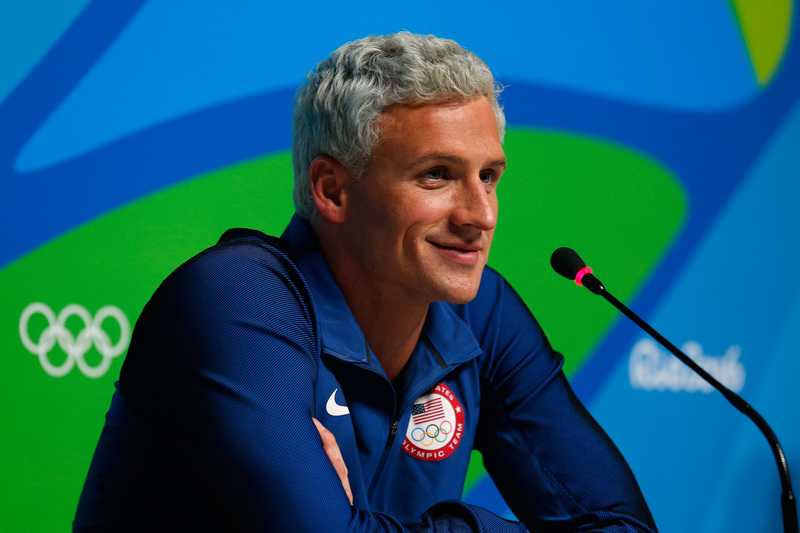 However, Brazilian officials declared that Lochte lied about the robbery and new video footage reportedly shows what really happened. Update: Brazilian police officially declared that the four U.S. swimmers were not victims of robbery, BuzzFeed News reported. Instead, the Brazilian officials said that the swimmers "vandalized the restroom" of a gas station and they tried to leave the gas station before police officers could arrive to help. Earlier: Lochte and his teammates can reportedly be seen "in rowdy gas station confrontation," Associated Press reported. Moreover, Brazilian police told ABC News that "one of the swimmers was seen on CCTV footage breaking down the door to the bathroom at the gas station and fighting with a security guard." It remains unclear what exactly inspired the swimmers to act in this way. They were reportedly heading back to the Olympic Village from a party at France House, a club in Rio, when this incident took place. Authorities also told ABC News that Lochte and teammates were intoxicated and couldn't accurately recount what happened the night they claimed they were robbed. Now that new details are emerging that contradict the robbery story, the official IOC statement on the situation disregards the fabricated story as the serious issue that it is. I do not regret having apologized. No apologies from [Lochte] or other athletes are needed. We have to understand that these kids came here to have fun. Let's give these kids a break. Sometimes you make decisions that you later regret. They had fun, they made a mistake, life goes on. It's unclear why Andrada would say that Lochte and his teammates don't need to apologize for this fabricated story. By lying about a robbery, they perpetuated the dangerous image of Rio that plagued the country well ahead of the 2016 Olympic Games. Moreover, they caused deliberate destruction to a local gas station and broke part of its infrastructure in an apparently drunken stupor, according to Brazilian officials. That, in and of itself, deserves an apology, yet the IOC is labeling Lochte, a 32-year-old man, as a "kid" who "had fun" and "made a mistake."